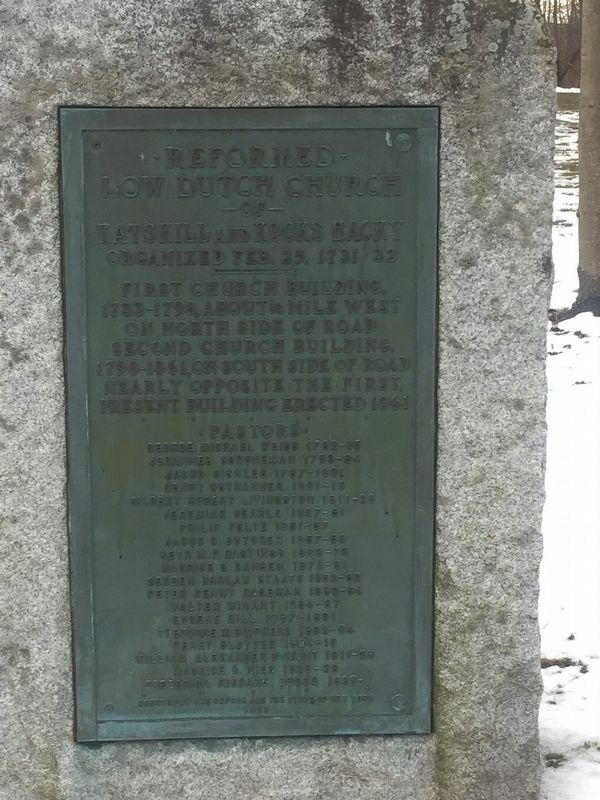 First church building , 1733-1798, about 1/4 mile west on north side of road. Second church building, 1798-1861, on south side of road nearly opposite the first. Present building erected 1861. Location. 42° 21.731′ N, 73° 49.281′ W. Marker is in Coxsackie, New York, in Greene County. Marker is on New York State Route 395, on the left when traveling north. Touch for map. Marker is in this post office area: Coxsackie NY 12051, United States of America. Touch for directions. Other nearby markers. At least 8 other markers are within 5 miles of this marker, measured as the crow flies. Coxsackie (within shouting distance of this marker); Honor Roll (approx. one mile away); In Memory (approx. 1½ miles away); Henry Van Schaack (approx. 2.9 miles away); Henry Hudson (approx. 3.3 miles away); Powell Patent (approx. 3.3 miles away); Sharptown (approx. 3½ miles away); Stockport-Stuyvesant Line (approx. 4.1 miles away). Touch for a list and map of all markers in Coxsackie. More. Search the internet for Reformed Low Dutch Church. Credits. This page was last revised on March 6, 2019. 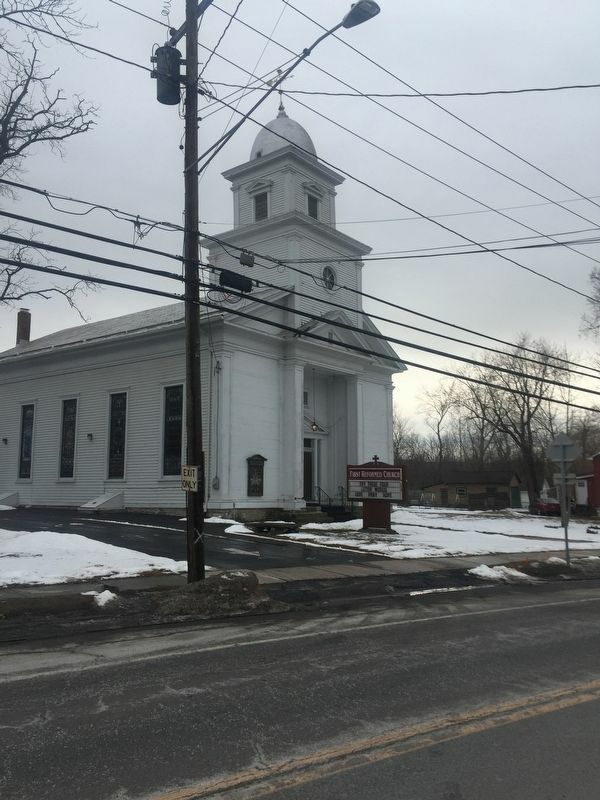 This page originally submitted on March 4, 2019, by Steve Stoessel of Niskayuna, New York. This page has been viewed 28 times since then. Photos: 1, 2. submitted on March 4, 2019, by Steve Stoessel of Niskayuna, New York. • Andrew Ruppenstein was the editor who published this page.